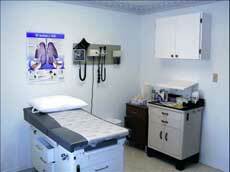 We offer a primary assessment of your medical needs to determine the appropriate treatment options. From this assessment we will provide on-site treatment and/or make necessary referrals to specialists. We also offer access to volunteer dentists for your dental needs. We have access to many common prescription medications that we can offer at no cost to the patient. These include antibiotics for many chronic and acute illnesses. Knowing that many illnesses and diseases can be prevented by proper education and care, the Free Clinic offers many helpful resources for wellness education. Volunteers from the South Carolina Department of Social Services provide free assessments, as well as helpful information and resources for needs beyond a patient's immediate health problems. These include information on family planning, food stamps, and resources for adequate heating and housing. If you have a medical emergency, please call 911 or go directly to the emergency room at Newberry County Memorial Hospital, across the street from the Free Clinic.